Our Stretch community simply wouldn't exist if it wasn't for our amazing members (aka you!) and we're totally committed to paying the love and support back! For our Direct Debit members (on our fortnightly unlimited memberships) we have a few awesome added benefits to add to your weekly classes across both studios! We are excited to announce that Stretch Members are eligible for HALF PRICE Courses & Workshops*. This includes our Beginners Yoga Course, Prenatal Yoga Course, Curvy Yoga Course (all $55 for 6 weeks) and our Stretch Summer Sessions event coming up on November 14th (only $12.50 for members!). 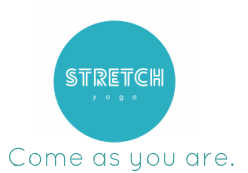 To book simply pop us an email to info@stretchyoga.com.au to secure your spot and we can simply add to your Direct Debit!